The Holiday Season is about great food and celebrating with family and friends. This time of year is always anticipated. It usually means one thing, an opportunity to totally indulge and feast on the delicious foods prepared with love. Making the Festive Season a major operation … there’s the shopping, preparation and cooking, followed up with serving, eating and lastly, the cleanup! With the Urban Composter, the cleanup part of the Holiday Season is made easier, as you can turn all of your food scraps into compost. 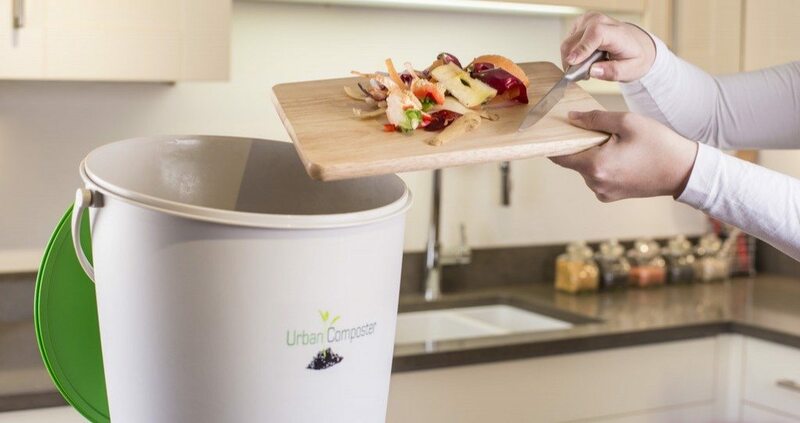 The Urban Composter becomes your complete kitchen composting solution turning your unwanted peels and offcuts during preparation and the unwanted leftovers of the feast, into nutrient-rich fertiliser for your garden. This Holiday Season, give the Urban Composter’s Bokashi composting method a try in your own kitchen, by composting your food scraps and help reduce the amount of food waste being sent to landfills. Your plants and garden will thank you, for the steady supply of nutrient-rich fertiliser created by yourself at your very own home! Consider giving an Urban Composter as a useful and practical gift to an environmentally conscious person or self sustaining gardener. Just lift the lid and add your scraps (even meat or fish). Give your scraps a spray of Compost Accelerator and the fermenting process begins immediately. In just a few days you can drain off your home-made 100% organic fertiliser from the tap. Dilute the liquid, add to your plants and watch your garden grow. For more details on How the Urban Composter works click here. Click here to purchase the Urban Composter.